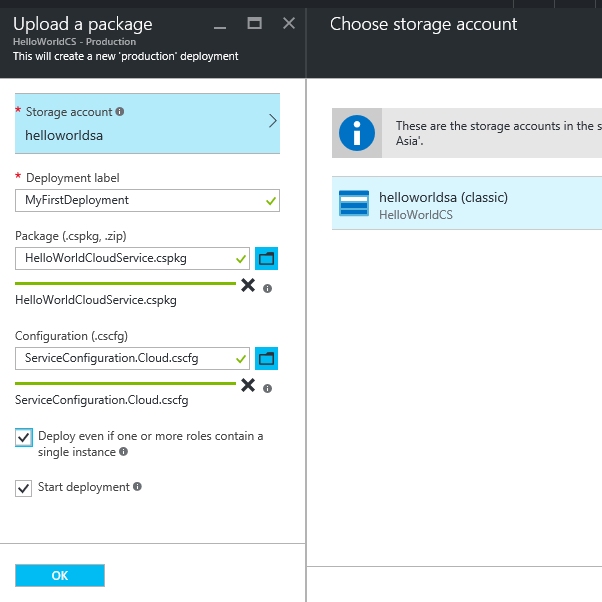 In our previous articles, we have created Azure Cloud Service and also created Cloud Service Package for deploying the application to Azure. 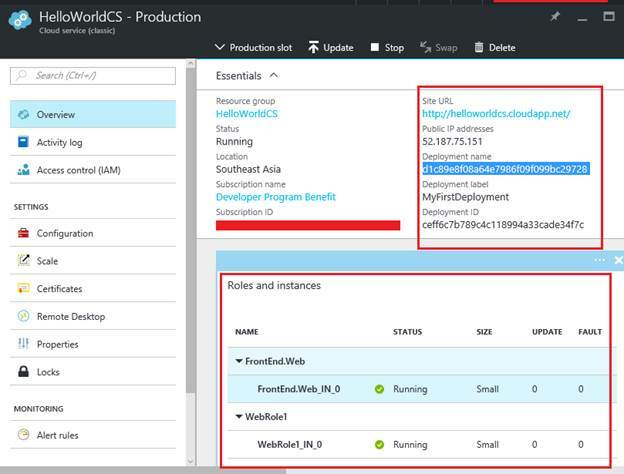 In order to deploy the Cloud Service application, we need to create the “Cloud Service” using the Azure Management portal. Clicking on the “Cloud Services” will take you to the following page where all your existing cloud services are displayed. 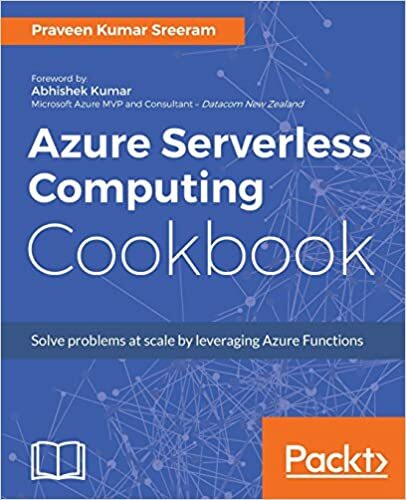 Click on the “HelloWorldCS” cloud service. We will be taken to the Cloud Service Overview blade, as shown below. There are multiple points to note in the above screen capture. The overview blade displays the “Production Slot” details. (We will learn more about the slots in an upcoming article). Most of the details of the Cloud Service’s Production Slot don’t have details. For example, site URL and Public IP address etc. An alert “No Deployment” is displayed for the Production Slot as we haven’t yet uploaded the package that we have created in our previous steps. Let’s upload the package (.cspkg along with its dependencies) that we have created in one of our previous articles. Click on “Upload” button to upload the Package files. Clicking on the Upload button will open up the following blade. Storage Account – You need to select a Storage Account (Classic) for storing the files that we are going to upload now on. Deployment Label – Provide a label for your deployment. Package – The .CSPKG file that we have created in our previous steps. Configuration – The .CSCFG file that we have created in our previous steps. 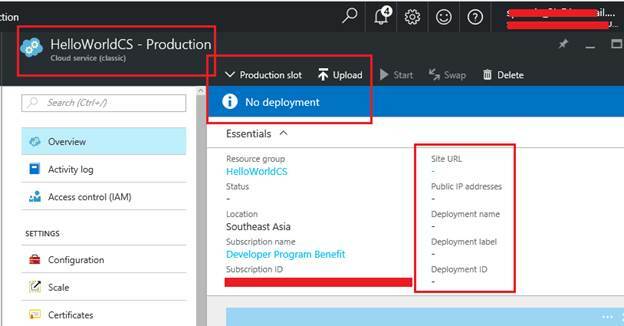 Check both, the “Deploy even if one or more roles contain a single instance” and “Start Deployment” check boxes and click on “OK” button to start the deployment. After few seconds, the Cloud Service will be created, as shown below. If you notice the details, all of them like IPAddress, Deployment name, etc., are now created. It has also created the roles, as shown in the above screen capture. Clicking on the Site URL link will open up the Web Page. That’s it. We have now created the Cloud Service successfully. Hope you enjoyed reading the article. Your feedback is really appreciated.